He announced the decision in an email to supporters Monday, saying he wants to remain focused on his work in the House. The decision leaves U.S. Rep. Beto O'Rourke, D-El Paso, as Cruz's main competition. "I’ve kept my pledge to fight for hard-working Texans, and I’ll keep doing that," Castro said in the email. "However, with the threats posed by Russia and North Korea, coupled with the reckless behavior of this Administration and their failure to invest in economic opportunity for the American people, at this time I believe I can best continue that work by focusing on my duties in the House Foreign Affairs and Intelligence Committees." Castro, long seen as a rising star among Texas Democrats, had been mulling a Senate run for several months. In recent weeks, he promised to announce his decision by the end of April. As recently as last week, he was non-committal to House colleagues. If he had run, Castro would have had to give up a safe seat in Congress, where he has the two high-profile committee assignments. O'Rourke, by contrast, had term-limited himself in the House. Beating Cruz remains an uphill battle for Texas Democrats, who haven't won a Senate seat since 1988. The incumbent has over $5 million saved up for the 2018 race. Cruz's campaign did not have a comment on the Castro news. In a fundraising email, however, Cruz's team said, "With their 'rising star' out of the race, Texas Democrats now appear forced to settle on Congressman Beto O'Rourke." O'Rourke announced his campaign a month ago and has since crisscrossed the state, visiting nearly two dozen cities. He did not immediately get Castro's endorsement Monday. 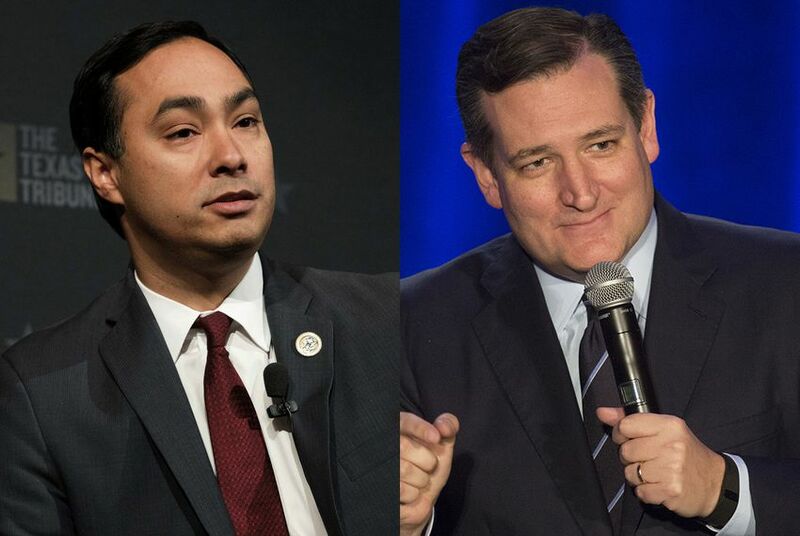 "Joaquin is an extraordinary member of Congress, someone who has led a principled, effective fight for his constituents and our country on the issues that matter most," O'Rourke said in a statement after Castro's announcement. "I had a chance to speak to him today and told him that I understand his decision and wish him the best going forward. I know that we will continue to work together for a long time to come and I am grateful for that." O'Rourke told the Tribune Monday evening that he spent the afternoon on a plane to Washington and had not yet gauged what Castro's decision meant for his campaign. U.S. Rep. Filemon Vela, a Brownsville Democrat had previously said he would back Castro if he ran. On Monday, he said he's "fully endorsing Beto." He predicted others waiting to hear about Castro's plans will make the same decision. "I suspect he will get unanimous support," Vela said of O'Rourke's likely consolidation of state establishment support.